Learn more about the upcoming competitions and shows in Ontario and view the schedule for these outstanding events. On July 19th 2013 a severe storm downed a famous Canadian maple tree. Learn how OWCA members are preserving our history in art. Our Magic in Wood Competition and Show is held annually in the fall. 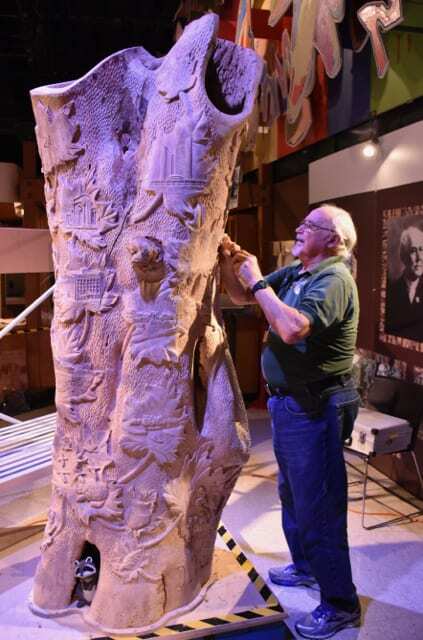 Open to carvers and visitors alike, this event offers something for everyone. Read about the interesting activities and projects that our carvers are enjoying. Share your submissions regarding supplies, tips and requests. Can you help us identify the history of these carvings? 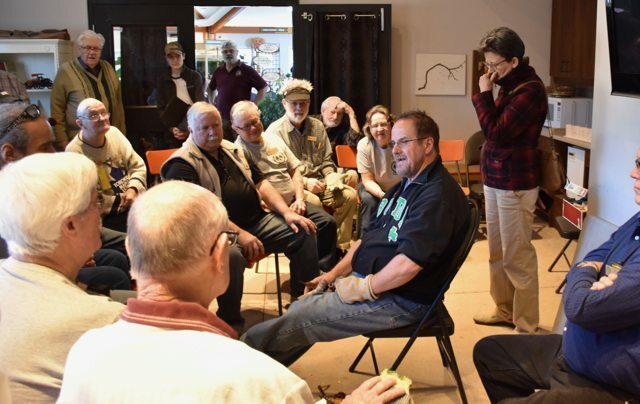 Find a location near you where you can join other carvers in learning the craft. 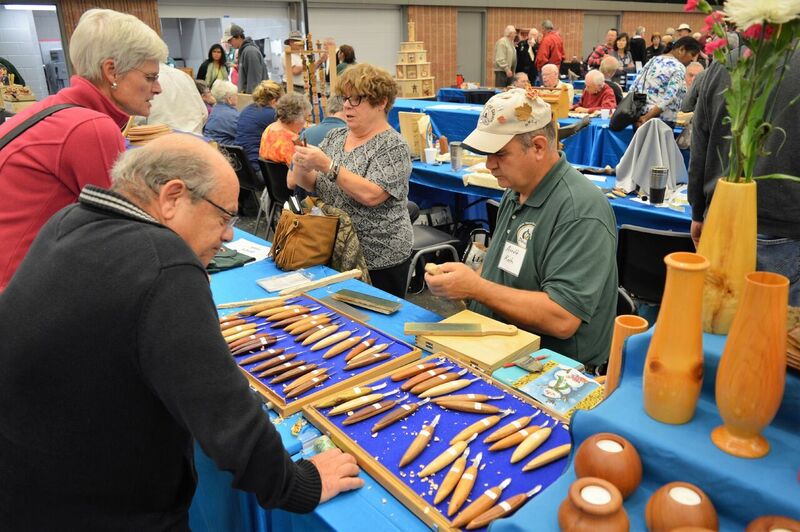 The Magic in Wood Show and Ontario Woodcarving Championship was a great success with over 225 carving entered and a packed house full of carvers and guests. Check out some photos of the variety of carvings entered into the competition on our Flickr account by clicking here. A “Day of Carving” at Lang Pioneer Village…What a Success! On August 18th, a large gathering of carvers and carving clubs enjoyed a beautiful summer day and the hospitality of Lang Pioneer Village! Check out the gallery to view a few pictures of a spectacular event. Held within a modern conference centre built as a recreated “barn”, audio visual equipment and tables were available for individual and club displays and carving, “how-to” demonstrations and our popular “You Can Carve” activity for youth and adults alike. Special free parking was provided at the doors of the centre to ease the transport of carving materials. Special thanks to Elizabeth King of Lang Pioneer Village and Murray Lincoln of the OWCA. This coming spring, on the 6th of April 2019, a juried exhibition of wooden objects will be held at the Tett Centre for Creativity and Learning – Kingston, Ontario’s centre of art. 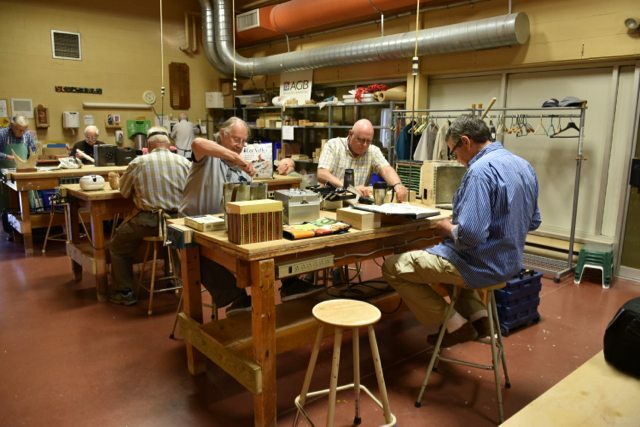 Artistry in Wood 2019, the first ever exhibition of its kind to be held in Kingston, will afford artisans the opportunity to exhibit their work in a very unique and impressive gallery setting, open to the public. We are anticipating hundreds of visitors that day, many of whom undoubtedly recognize and appreciate finely designed and crafted objects. What better opportunity could there be for individuals to showcase their work and talents to such a discerning audience? Please find here the weblink to more information on Artistry in Wood 2019, including the Guidelines and Application Form. 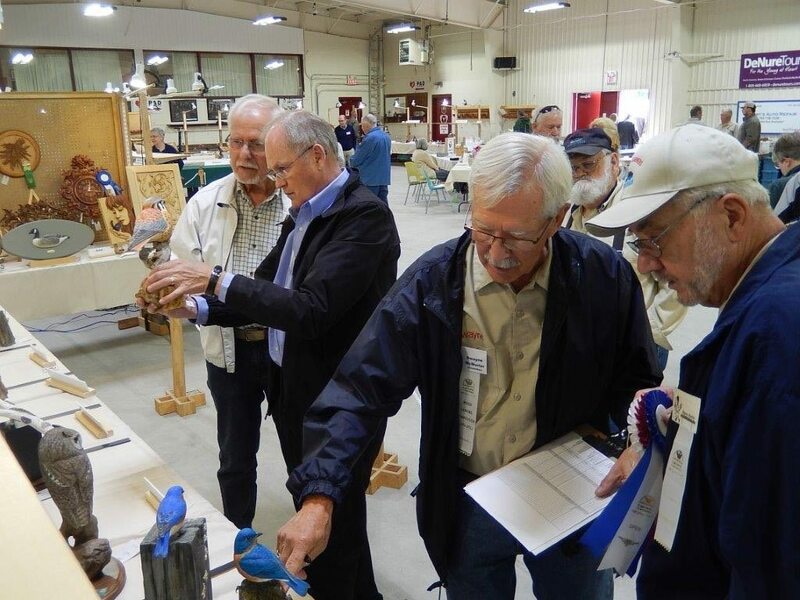 The Ontario Wood Carvers Association promotes and celebrates the art of woodcarving in Ontario. Browse our site for news and opportunities for carvers, information on programs and events, and links to Ontario carving clubs. You’ll find some of our best work showcased in the galleries section. Learn how you can become a member – and if you’re a member already, enjoy special access to almost forty years of archived reference material, including tips and techniques. Join Us as a new member or Renew your current membership by filling out the eletronic forms that can be accessed under the About Us tab at the top of this page. The OWCA Executive is always encouraging members to come forward to share their ideas and expertise…and not just their carving talents! There are many interesting aspects of the OWCA that your Executive Committee enjoys and which you can also involve yourself. Is there an activity that you’d like to join or can you suggest something new that you’d like to help us create? Can you assist in our website or magazine publications? Are you interested in participating in the creation of our shows and learning events? Use the “Contact Us” button on this website or send a note to Mark at [email protected] if you’re interested in learning more! Are you curious about woodcarving but don’t know if it’s right for you? Let our members walk you through initial steps – materials, supplies, types of wood, and how to tackle your first project. Look under “Programs and Competitions” at the top of this page for clubs near you and locations where carvers meet. Don’t hesitate to contact us if you can’t find a location near you. 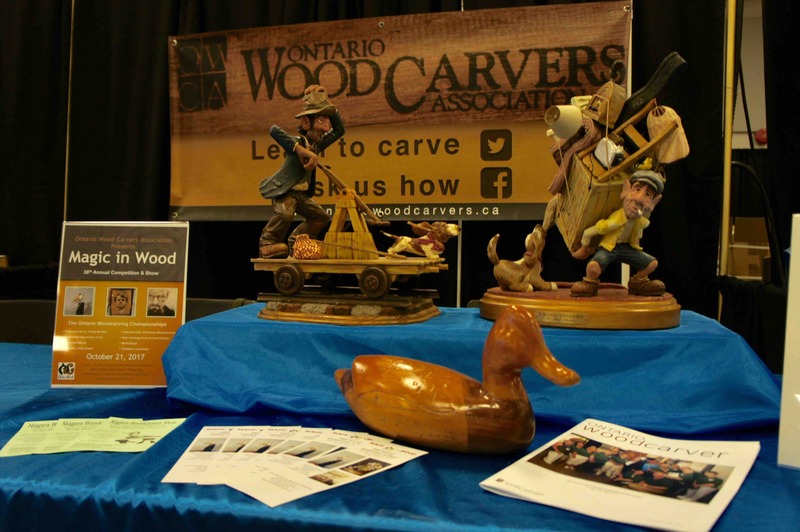 Join the Ontario Wood Carvers Association today and get carving! New members are always welcome. Current members of OWCA can access additional information here including the on-line version of our Quarterly Magazine! Our clubs are available to all members. Don’t see a club in your area? Contact us if you would like to start one. Ontario Woodcarver is the only full-colour magazine produced in Canada specifically for artists working primarily in wood. Our annual fall competition and show is simply not to be missed. The tree, older than Canada and blown down in July 2013, is said to have inspired Alexander Muir to write the “Maple Leaf Forever” song in 1867. In recognition of its historic significance, every part of this ancient silver maple tree will be used. Join us as members and guests share their videos, photos and expertise.